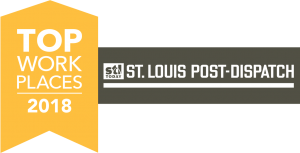 Highland Public Safety Facility Traffic Study - St. Louis Engineering Firm | Thouvenot, Wade & Moerchen | TWM, Inc. 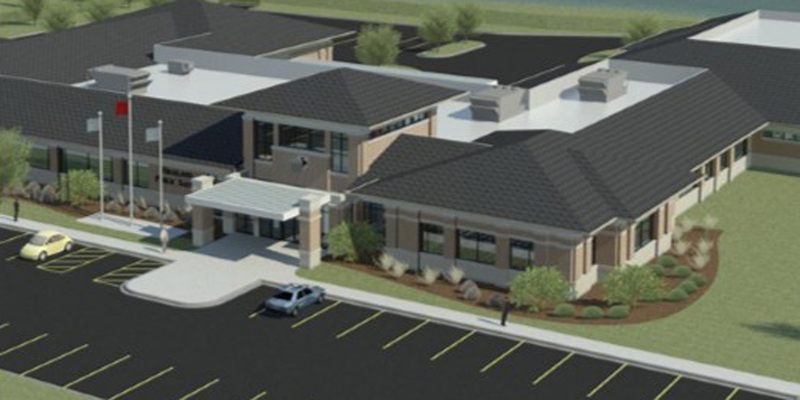 This project involves a 10-acre tract of land to be developed into a Public Safety Facility with medical offices adjacent to the newly constructed St. Joseph Hospital. 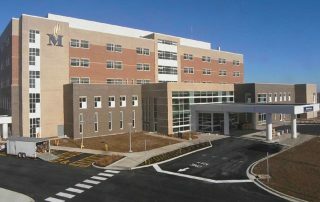 The facility will be located in the northern vicinity of Highland, being in the southwest quadrant of the intersection of US Route 40 and Troxler Avenue. 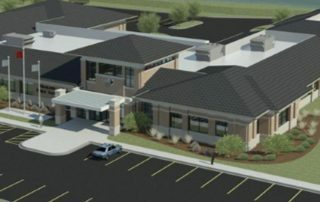 The proposed development after full build-out is anticipated to consist of a 40,000 square-foot Public Safety Facility with an estimated 98 employees and four additional medical office buildings totaling 70,000 square feet. 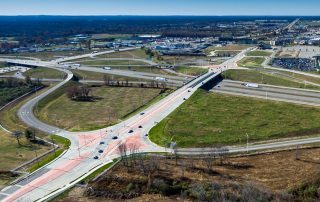 Ingress to and egress from the proposed development is being sought through the construction of three full-access entrances – one along US Route 40 and two along Troxler Avenue. 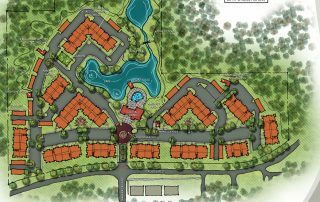 The first entrance is located along Troxler Avenue approximately 1000’ west of the intersection of Troxler Avenue and US Route 40. 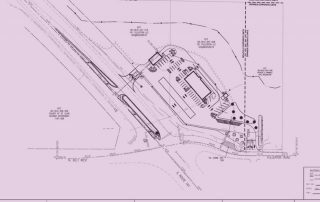 The second entrance is along Troxler Avenue approximately 600’ west of the main intersection, and the third entrance is along US Route 40 approximately 1600’ southwest of the main intersection. Entrance #1 along Troxler Avenue connects to entrance #3 along US Route 40, which is under the jurisdiction of IDOT. Troxler Avenue is under the jurisdiction of the City of Highland. 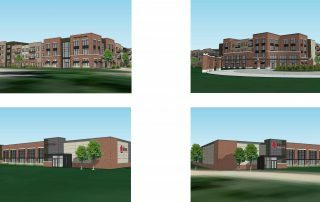 TWM worked with the City of Highland and IDOT on behalf of the developer to coordinate the access for the commercial development. 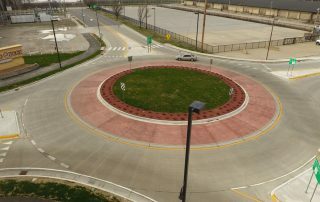 TWM completed a traffic impact study for the proposed entrances along Troxler Avenue and US 40, taking into account any effects the entrance will have on the signalized intersection that was concurrently under construction. 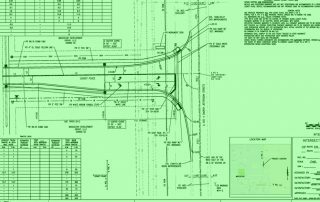 This traffic study analyzes the traffic impact of the proposed development to the adjacent roadways, including the need for the construction of left- and right-turn lanes and traffic signals on US Route 40 and Troxler Avenue, as may be warranted to accommodate the traffic generated by the new development. 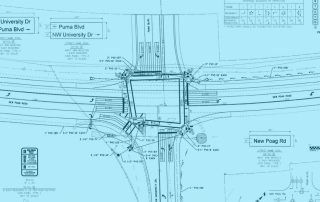 This study also analyzes the operating levels of service of the proposed intersections created by the commercial entrances with the adjacent roadways.